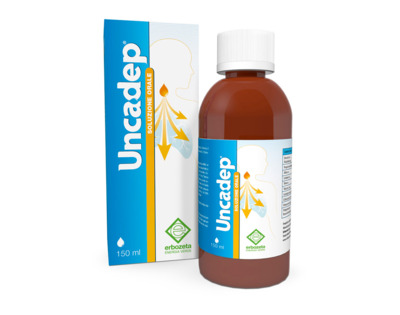 UNCADEP® is a dietary supplement based on Propolis and vegetable extracts. Sundew, Thyme, Iceland moss and Japanese Knotweed help loosen bronchial secretions. Echinacea and Cat’s Claw are useful to support the body’s natural defenses. Cat’s Claw, Propolis, Marshmallow, Iceland moss, Thyme, Chestnut, Echinacea, Thyme, Sundew,Resveratrol. Take 20 ml twice a day, far from meals.